Everything tastes twice as good using this fork and spoon utensil set. The high-quality finished stainless steel utensil set with plastic handles is resistant to bending. 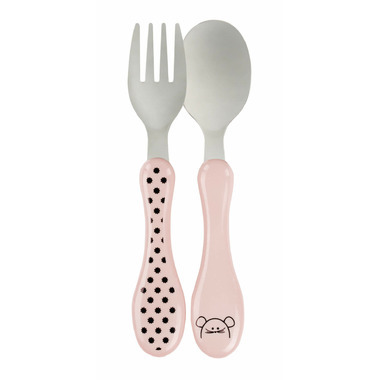 The dishwasher safe utensil set is recommended for children 1 year and up.